I was thisclose to picking up that sweater at Target a few months back. The hint of sparkle is so perfect! love the sweater with the shirt. Love the touch of sparkle....so fun! I love this sweater. It's so perfect with your hair. Love the dainty necklace, too. 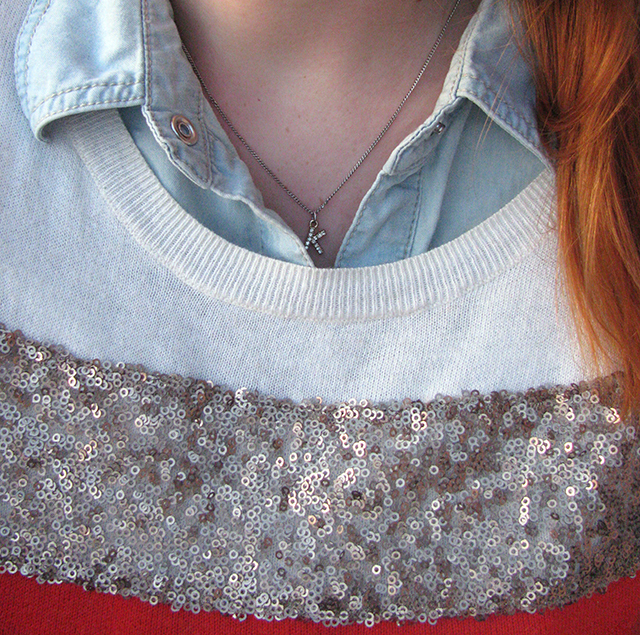 I adore the sparkle detailing on your top. So chic and fabulous! If you could give me your thoughts on my latest post that would make my day. I LOVE your sweater and jean shirt combo. So cute!